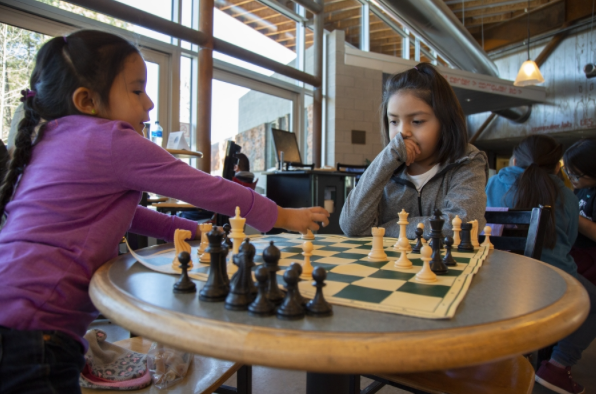 Hailey Willie, 7, (right), watches Kassidy Holgate, 5, both from Navajo Mountain, prepare to make a move during a practice session before the second round of the fifth annual All-Girls Chess Tournament at Coconino Community College on Saturday, Jan. 26, 2019. Courtesy photo. FLAGSTAFF — Shantia Nez, 12, seventh-grader from Kaibeto Boarding School, concentrated on her opponent’s move.